Welcome to the Air Rider Airport Taxi Service in Halifax Nova Scotia. 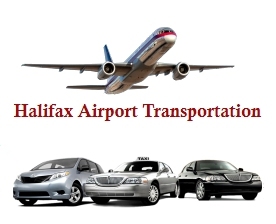 We are a specialist taxi firm operating to and from Stanfield International Airport, Halifax, Nova Scotia. In order to make your trip to or from the airport as stress-free as possible we use only late model limousines and minivans. With rising gas and parking fees at the airport it makes sense more than ever to use a dedicated airport taxi or shuttle service. We operate 24 hours a day, 7 days a week. With Air Rider Taxi you'll also find clean vehicles, pleasant staff and a friendly warm welcome whatever the time of day or night. You'll also find we offer certain other value added services such as wake-up calls. For those arranging collection of business colleagues, we can display a greeting at small extra charge. Although we operate a 24 hour service we may find it difficult to fulfill your requirements. Price is per trip. Our luxury taxis comfortably carry between one & four passengers. Prices are per vehicle and not per person. 10 Good Reasons To Book Your Airport Taxi With Us. To and from Halifax Airport...!